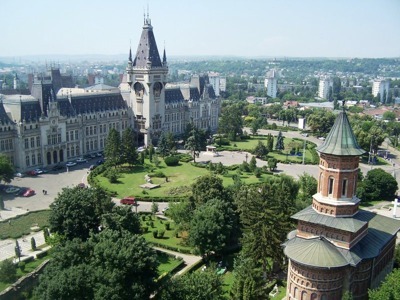 Iasi is possibly the most exuberant city you have ever visited! Being indeed a huge city, it has so much to offer and amaze its visitors with! It resembles centuries of fine architecture and culture, along with mind-blowing parks, squares, even with the communist-era constructions and sparkling modern entertainment establishments. Dive into the city and let it take you over its wave. Unforgettable traveling experiences are waiting for you. The city is full of must-sees. Whichever direction you look at, you will be stricken with the beauty and sophistication of architecture. If you expect to have unbelievably pleasant memories from your traveling to Iasi then the best way to fulfill your expectation is to hire a car with a driver. Before hiring a car in Iasi or any other European city, it's highly crucial to find out whether the service is dependable or not. 8Rental is among the leading car rental services in Europe and is widely trusted by clients. Our customers know well they can rely on their transportation in a foreign city on our expert drivers and premium cars. We have gained the reputation of a trustworthy service and strive to satisfy our clients' anticipations. So, before you rent a car with driver in Iasi, it's definitely worth having a glance at what we offer to our clients. Being a famous car rental service, we can't but surprise our constant clients with certain freebies and extras. For instance, every client, regardless of the length of his ordered route, will be provided with free fuel as it is to be included in the offer. We take the responsibility for any fees and taxes, too. 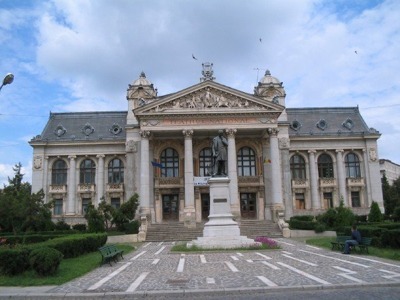 Just rent a chauffeur-driven car in Iasi and make the most out of your traveling in this gorgeous city. Exploring Europe with us is so beneficial! As many successful businesses, we recognize the importance of providing outstanding customer service. A courteous and empathetic interaction with a trained customer service representative can mean the difference between losing or retaining a customer. When problems arise, customers always receive timely attention to the issue. Prompt attention to emails and phone calls is critical to maintaining good relations and we maintain our communication with our clients at the highest level of professionalism. We know that requiring customers to sit on hold can sour an interaction before it begins. Our clients are our main focus! If you are you short on your budget or perhaps you love driving in luxury, in all cases, you can get what you are for at 8Rental! We have obtained diverse cars to suit any client's requirements. Make your choice based on your budget, preferences and the number of passengers. For VIP clients, we can offer VIP automobiles. All of them are strikingly luxurious and impressive with both their exterior designs and specifications. These are cars in spotless conditions. Book a Mercedes S class, a BMW 5 o BMW 7, Audi A6 or A8, or any other similar car to drive in divine comfort and safety along Jassy's roads. Take any direction you may need, being certain you'll be taken there quickly and safely. The cars are packed with fantastic cabins upholstered in fine leather and hardwood trimming. They come equipped with a series of premium specs. Choose any of these models to hire a chauffeured car in Jassy to make every minute of your traveling memorable! For clients with smaller budgets, 8Rental can offer standard class cars. These are all stylish and well-equipped models. Even though they may appear not as lavish as business and first class cars, they are sure to make you feel comfortable during your whole driving in this Romanian city. When booking a car from 8Rental, you have the chance to pick up chauffeurs who are licensed, highly qualified and experienced. These are the drivers that best meet your demands. Surely, all of our profession does not need a praise! Yet, if you don't speak Romanian, for instance, you may wish your driver to master English, French, Russian, German, etc. We shall provide you with particularly that driver, the communication with whom will be utmost pleasant for you! Whether you are here on business or for leisure, 8Rental has got a perfect car for you! Just get a quote right away and get to know what it means to deal with a credible car supplier!